When it comes to SS Apron Hanging Cabinet we are the regarded as the most noteworthy manufacturers and suppliers of it. We offer them in designs with partitions ideal for orderly and organized hanging the Apron while averting any damage to the same. These are made up of high grade SS Material to prevent any rust or corrosion while being sturdy and durable. We offer them in several dimensions and designs to fit in the different requirements of the clients. We also offer customized designs. Since we fabricate them in adherence to the industrial norms with the latest machineries they are have excellent and smooth finishing for the harm of the aprons hanged on them. These are quality tested and verified and so are absolutely reliable and worth purchasing. 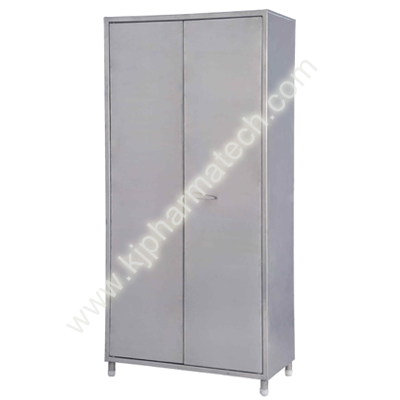 We offer these at market leading prices being the best supplier of Clean Room Furniture India.